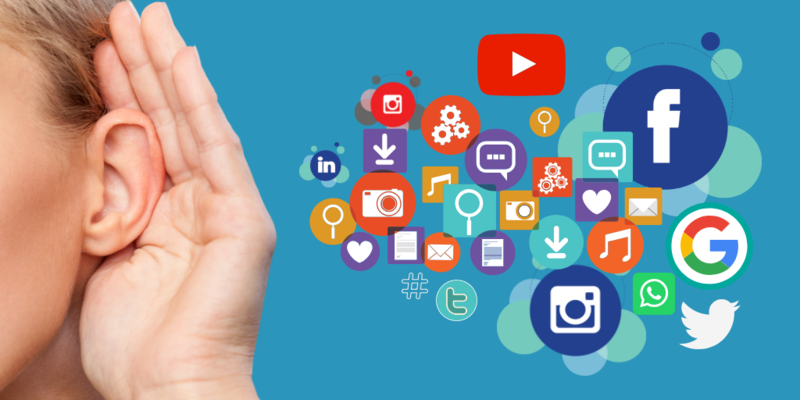 The typical focus of any social media campaign – organic or paid – is to connect with existing and/or potential users. The problem lies in how an organization maintains that connection. Too many times we see the communication only going one way: from the organization to the user, with little to no reciprocity. Sometimes that is due to ineffective/off-target messaging, improperly managed campaigns/budgets, or downright indifference on the part of your target audience. But what about when they do have something to say? Will you be there to hear it? More importantly, will you see their responses for what they are: some of the most valuable, sought-after declared data? Read Declared Data vs. Inferred Data to learn more! If you practice “social listening,” you’ll not only show your audience that you care, you’ll get valuable feedback that can help your organization in a myriad of ways. Social listening is the act of observing your digital conversations with the intent of understanding what your audience is saying about you online. To put it another way, social listening is collecting your audience’s digital responses to your social media marketing efforts. As was mentioned earlier, this is your chance to really show your connectivity when it comes to your audience. How quickly you react to complaints. How in-tune you are with the demographic(s) that make(s) up your audience. How accurate your assessment of your organization’s digital profile. By actively listening to what others are saying about you on social media as well as what they are saying about your social media marketing efforts, you’ll glean some of the most highly-sought after data there is, the kind your audience gives you, freely and willingly. By actively listening to your audience via social channels, you can take an accurate snapshot of how your organization is perceived online – and act accordingly. You can also measure your audience sentiment towards your content. If one type isn’t performing well – again, based on the feedback you’ve gleaned from listening – you now have a dataset from which to launch an A/B test, to improve your current content strategy. You can even target content to specific channels – not simply based on historical data (best practices, etc) but on actual declared data from your audience. You may discover that your content which, according to best practices should be performing best on Facebook, may perform better on Twitter. Based on this insight, you’d do well to perhaps refocus some of your content strategies towards Twitter versus Facebook. The benefits of focused, active social listening are manifold: from accurate snapshots of your organization’s perception, timely resolution of potentially threatening social media issues, to a wealth of first-hand declared data that can help you to really dial in your content’s trajectory. How can I conduct an effective social listening campaign? You have to be a good listener – digitally and analog. Better yet, you should partner with someone who can help you formulate a strategy that encompasses all aspects of social listening we’ve outlined here. If you’d like to have a discussion about how to optimize your current social listening strategies, or even how to implement one from scratch, drop us a line – we’re listening.